Residents of North Carolina and the surrounding states are still reeling from the aftermath of Hurricane Florence. The massive storm was responsible for more than 30 lives and catastrophic damage from historic flooding. Machinists Union members in the path of the storm are in need of help in the recovery process. 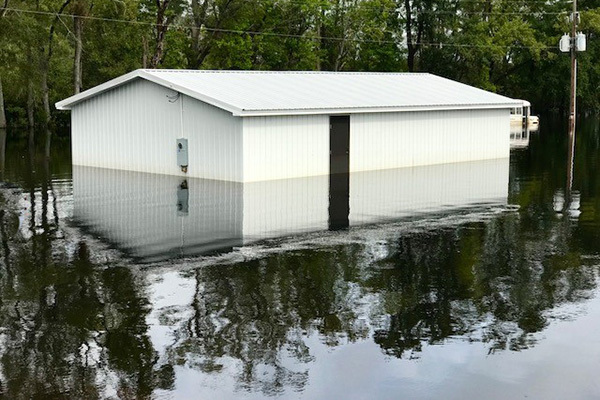 The IAM Southern Territory, along with IAM District 110 and the IAM Disaster Relief Fund are on the ground in North Carolina to assist members in need. If you are an IAM member affected by the storm, you can apply for assistance from the IAM Disaster Relief Fund here. For further assistance, call IAM Disaster Relief Director Carlos San Miguel at 301-967-4521 or email csanmiguel@iamaw.org. You can help your Brothers and Sisters by donating to the IAM Disaster Relief Fund today.